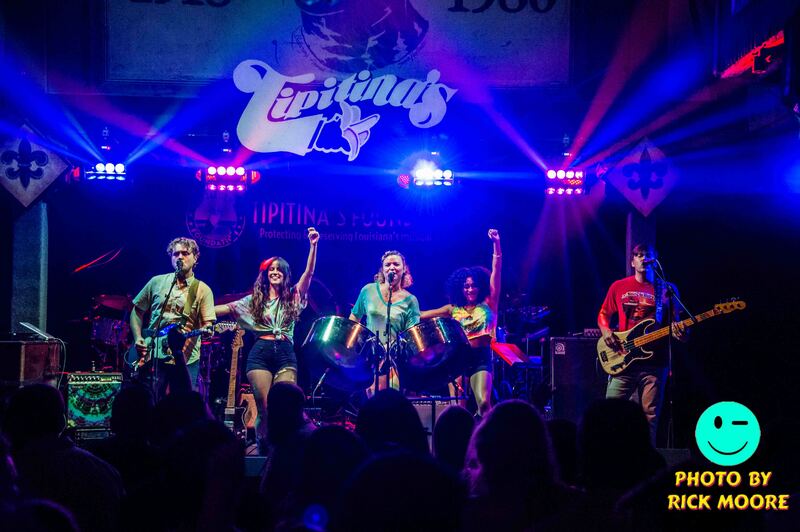 Come see us with DJ Soul Sister Saturday January 5th at Three Keys at the Ace Hotel in New Orleans! Start 2019 off the Right way! After listening to one of our other fave’s (The Slackers) cover “Attitude” by The Misfits, we were inspired to give Welcome to Paradise some of our vibes. Stream our version here…video to follow! 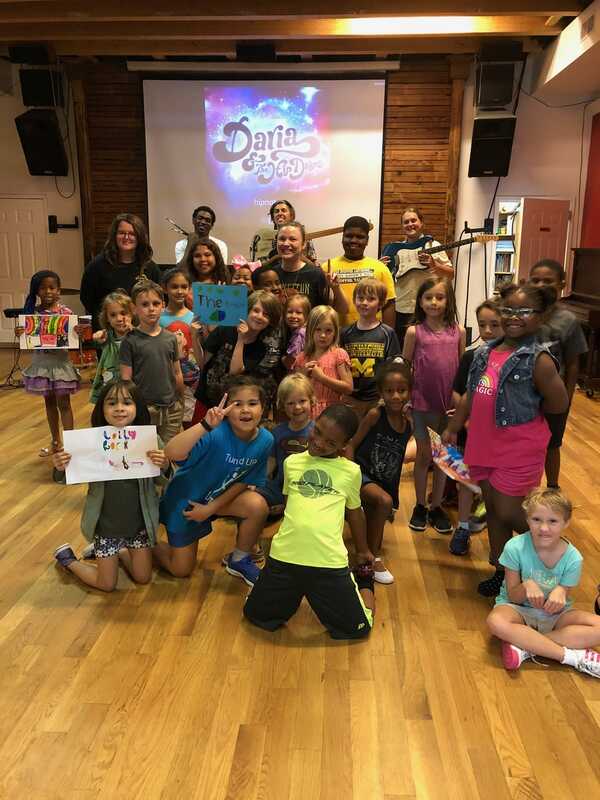 This Summer, we went into the camp Upturn Arts to present a Masterclass on steel pan, album artwork and learning to ROCK! 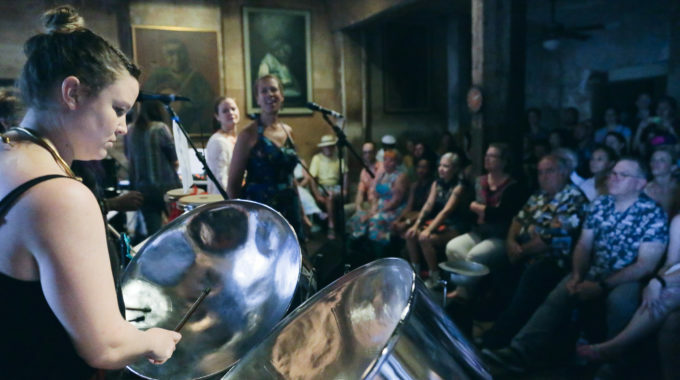 Supporting Upturn Arts means supporting arts in the Nola community! Have you seen the most recent issue of Pan Podium Magazine?! Check out the piece on us on page 30! Thanks to everyone that came out to hang with us and Bonerama for their album release!! 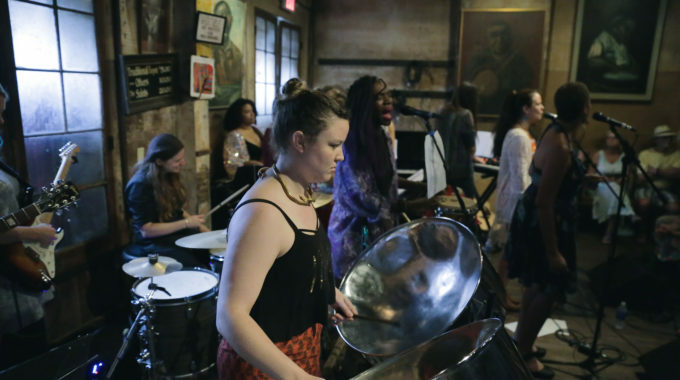 Daria brings steel pan to the 16 piece supergroup N.O.B.A.B.E. 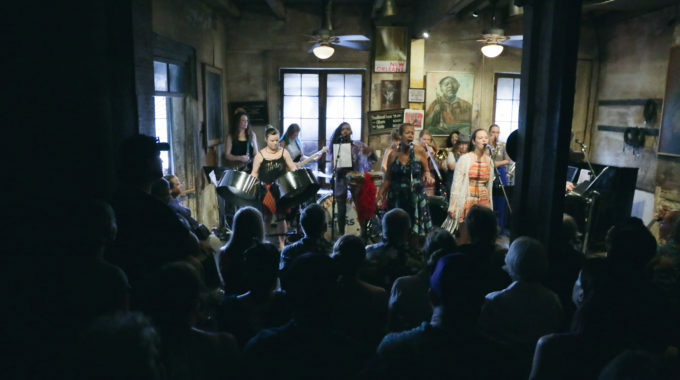 at Preservation Hall! A historic moment in music at a historic place. Photos by Camille Lenain. 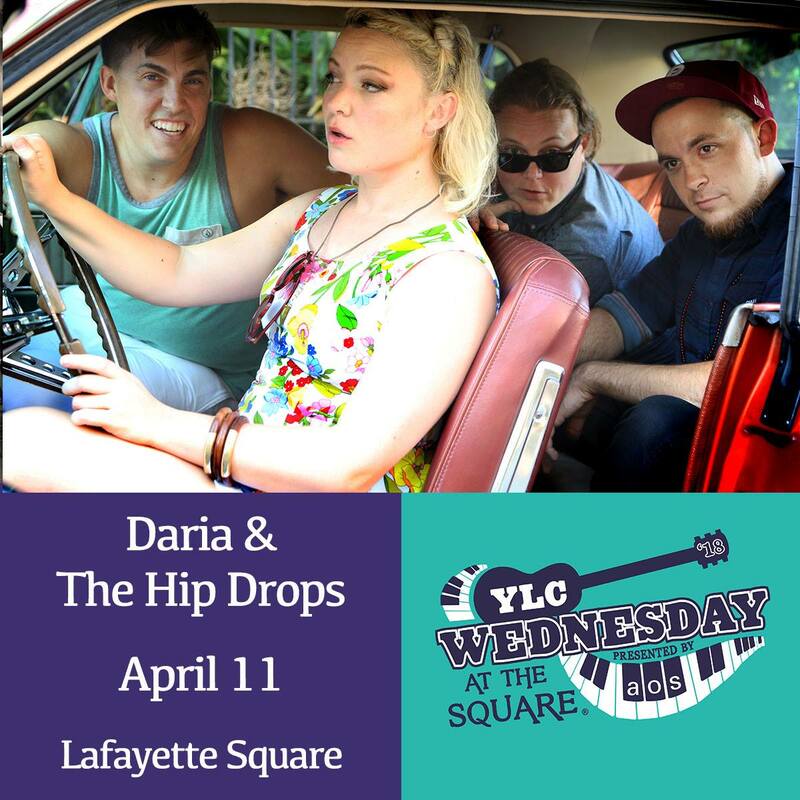 We’re back at YLC’s Wednesday at the Square at Lafayette Square today in New Orleans with our pals in Flow Tribe! We kick things off at 5pm! 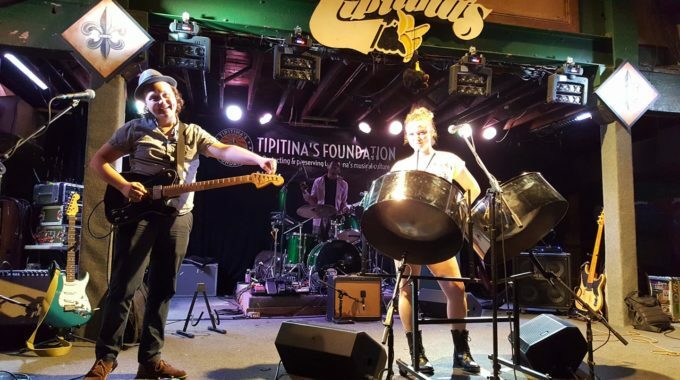 We had a great time this week at Tip’s Free Friday’s with the Iko All stars (and at Shagfest too!). Two Grateful nights. Keep an Eye out in the photos section for some shots from the shows. 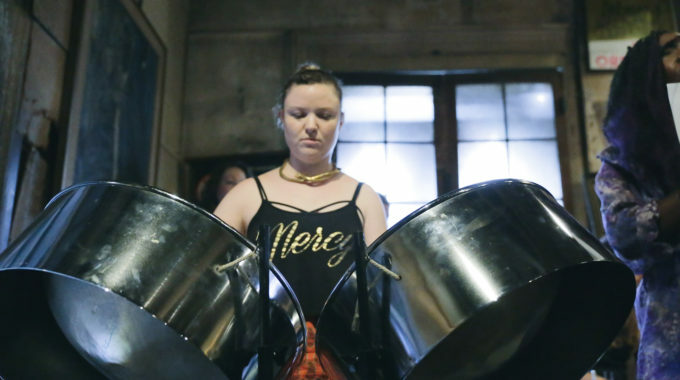 8.1 Daria will be working with the kids at UpTurn Arts for a pan workshop. Thanks Positive Vibrations Foundation for making it happen! 8.3 Hip Drop action at ShagFest at DBA for Shaggy’s Bday!! 6pm!